The coal-fired steamship Mariefred was built in 1903 for the route Stockholm-Mariefred. Ever since, she has been sailing this route, under the same name, with few changes onboard, and with the same steam engine. Length 32.84 metres, width 6.33 metres, speed 10 knots, a 295 hp compound steam engine, 230 passengers. 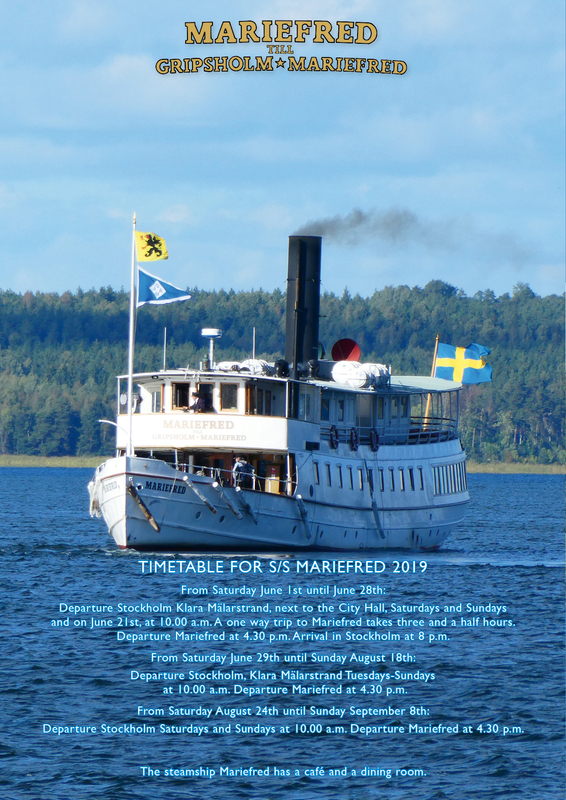 Since 1905, s/s Mariefred is owned by the company Gripsholms-Mariefreds Ångfartygs AB.